Via the German television "Infoportal" wunschliste.de - or really via the TV channel Super RTL - comes our first glimpse of the new series' title logo. I don't know exactly when this image (or the reboot show's listing at wunschliste) appeared online... but the news that public broadcaster Super RTL will air the series in Germany has apparently been known since this announcement from June 30. No exact air date is set yet, though some headlines indicate that the series is part of the channel's 2014/2015 season lineup. Here's a press release in English via RTL Group's own site. Anyway, time for my ramble about the new logo design! 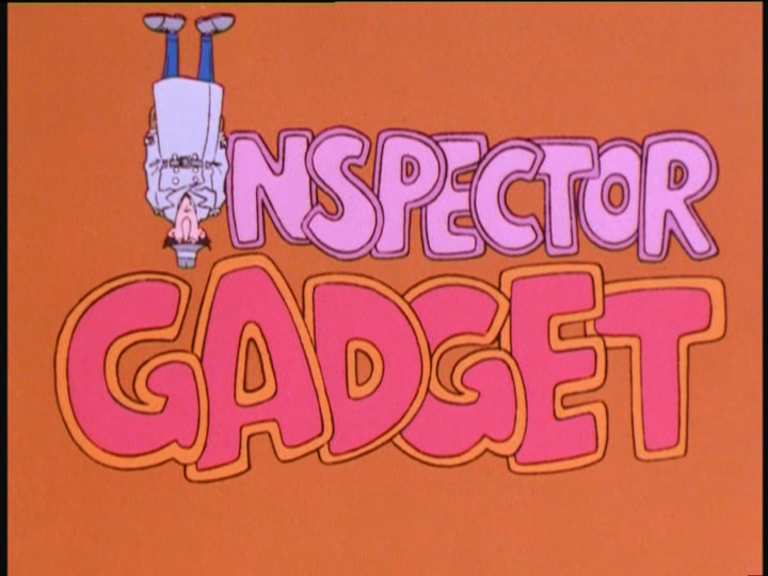 As you might have expected, I love how they kept the classic touch of the upside down Gadget being the 'I' in "Inspector". Will he and the other letters be bouncing into place in the intro sequence? The font looks overall good, I suppose. While I do like the classic version better, this neatly brings associations to it without being completely similar (for one thing, it's not quite as rounded). On the other hand, the colors of the new logo has me somewhat on the fence. 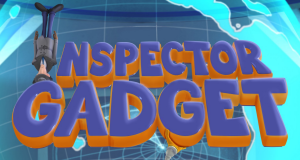 I get the feeling that the new series' design team has a real thing for blue, as it seems quite dominant in the overall color scheme: Gadget, Penny and Quimby's pants, the new Gadget Mobile, background details in images and now, the logo. While I don't hate the new dark blue, I have to admit I much prefer the vintage pink colors for the moment being. Maybe it's just the retro feel talking to me. I do wonder how the original colors would have worked on the new font. Okay, so this is just my own quick edit (in Microsoft Paint, no less!). I'm sure it can be done better. But it illustrates the point. The title logo and the group picture which has popped up in several cropped versions by now are of course the same image. And even now, in my edited-together version, we can see that it's not 100% complete. The picture was obviously put together for promotional reasons, so I'd be surpriced if a full, high-res version doesn't appear eventually. Finally, seeing the picture like this also brings a new perspective to Chief Quimby's pose. Now, instead of just shrinking from the sight of Gadget, it seems to me he's worried that the logo - supported by only one of Gadget's hat hands - will come crashing down on him. Not that this doesn't suggest that he has been accidentally hurt by Gadget before... but at least he has a clear motivation for being anxious aside from just seeing Gadget next to him.